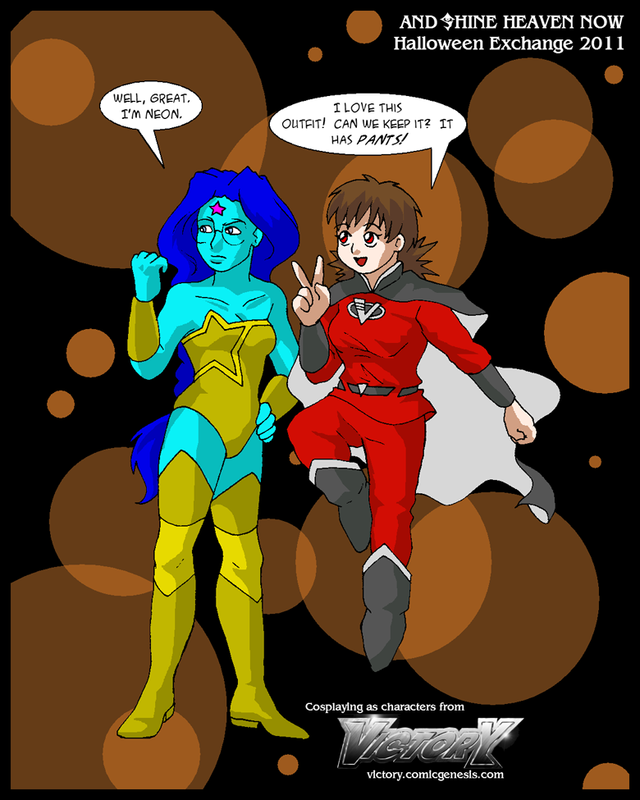 For the ComicGenesis Halloween Costume Swap, switching with the comic Victory. Integra: Well, great. I’m neon. Seras: I love this outfit! Can we keep it? It has pants!